See you at dinner on Monday, August 14 from 5pm-9pm at Chipotle! 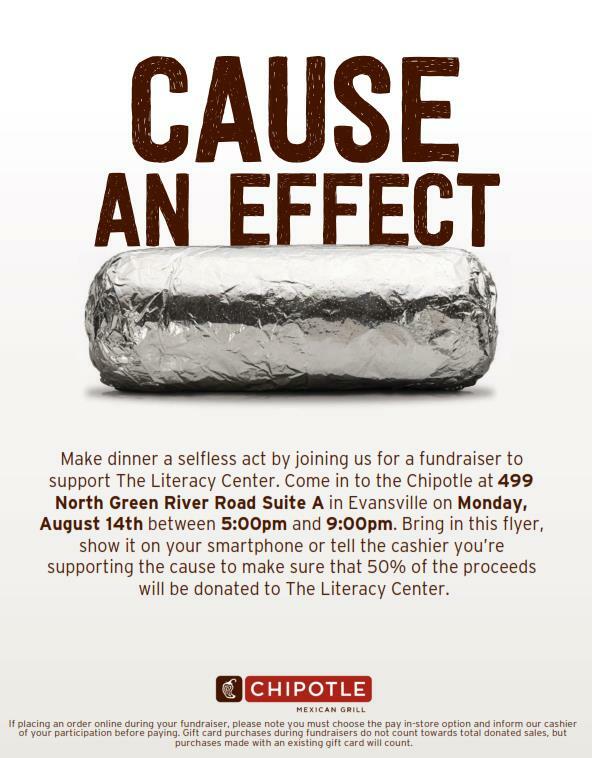 Show the flyer prior to paying, or on your phone/device to the cashier that you are supporting the Literacy Center and Chipotle will make a donation of 50% of your purchase to our adult literacy program. I’ll be there with my Literacy Center t-shirt on so I’d love for you to join me and we can chat about the Literacy Center and how we benefit the community.